Ariana Grande’s inexplicable high ponytail leaves her in unrelenting scalp pain. In the first episode of her Dangerous Woman diaries, she revealed having “this vision of me on stage, and one day I’ll just turn, and from the root, [my hair] will just give up.” I’m no hair loss expert, but I’m going to go ahead and say, yeah, she should be worried. And so should Jojo Siwa. The 15-year-old has worn her hair in an equally confounding high ponytail, adorned with a bow, since she began her career six years ago. (And it’s to the side! I cannot fathom how she maintains equilibrium, even with her tweenage plasticity.) Since her hair appears to be pulled cartoonishly tight—and make no mistake, she’s definitely going to lose her edges—naysayers have targeted her hairstyle to insult her. While visiting Today, Siwa turned criticism about her hairline into a lesson in loving yourself because what the hell else was she going to do, she’s a Teen Boss-Nickelodeon star. Why didn’t anyone ask about the pain she must experience day in and day out? If she thinks “we should all end up loving what we don’t like,” has she learned to embrace the suffering and use that to fuel her seemingly unending enthusiasm? Is the secret to success a throbbing skull? 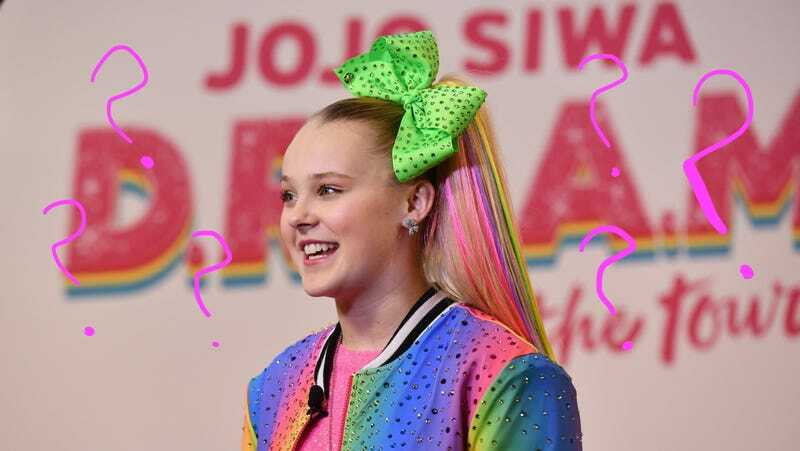 Is JoJo Siwa a masochist? I’ll try to remember those wise words while reading the comment section on this post, with my hair down, loose and free. Ariana Grande&apos;s Ponytail: A Peep Into Her Psyche? Or a Source of Perpetual Headaches?